Greater Anglia provides an exciting and challenging apprenticeship programme for aspiring young engineers. A railway specific engineering pathway makes this a unique apprenticeship experience. Year 1 is a 20 week programme. We start the programme off with an Outward Bound course for one week in the Lake District, promoting communication skills, non-technical skills, team building, pushing each other to the limit. This is a big group of young men and women, including apprentices from other companies, learning life skills and working together as a team. The apprentices spend one day a week in the classroom at Colchester Institute for Engineering. completing the Level 1 & 2 mechanical and electrical course. They spend the remaining four days completing on the job training across our Ilford, Clacton, and Norwich stations. Year 2 consists of manufacturing and electrical tasks, workplace maintenance, and hand tool usage. This gives the apprentices more confidence and knowledge of health and safety. At the end of Year 2 the apprentices would have gained their Level 3 technician qualification, with merits and distinction, and move on to complete their Higher National Certificate in Year 3. Year 3 the apprentices work within bombarded transportation, rotated around different roles, so they get to experience the different tasks. They complete a diary of work or logbook, logging the day to day knowledge. This gives the apprentices proof that they can perform the tasks, and they have their Higher National Certificate and Level 3 qualification. Year 4 completes the whole course, with shift work and incorporating the apprentices into existing Greater Anglia engineering teams. The apprentices take what they have learned in the course and put this into action! Greater Anglia is associated with Business in Community. We visit schools and companies, providing presentations, promoting apprenticeships, and helping young people with CV writing skills. Apprenticeship applicants must be 16 years or older, with a minimum of grade C in maths, English and science. They will also need to pass an aptitude test prior to being selected. 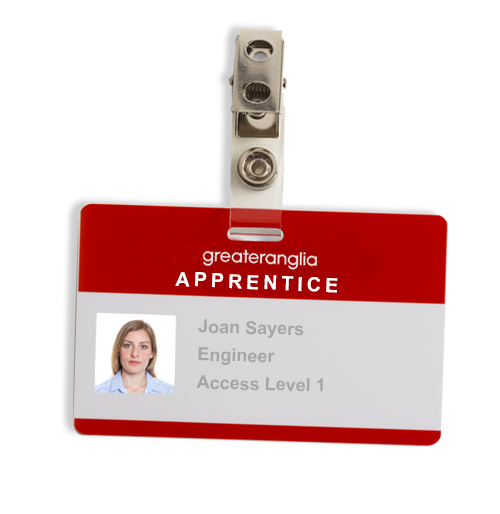 Apprentices receive the same benefits as Greater Anglia employees. This includes a great salary (yes we pay you while you learn! ), travel benefits, and pension (from the age of 18).